We were surprised that Mr Murray (letters yesterday) should doubt the clear conclusions of 30 years of peer reviewed research into the damaging impact of tick on grouse populations. 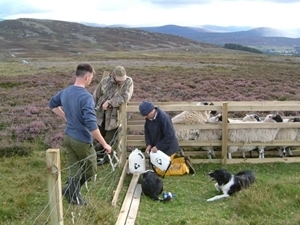 Research by the Game & Wildlife Conservation Trust and others illustrates this effect and also provides practical solutions such as regular sheep dipping and species management which benefits grouse, sheep health and possibly even human health. Anyone who has ever seen a tick-infested plover chick would surely value such work. There are incentives to undertake this control at no cost to the public thanks to sheep farming and driven grouse shooting. This should be celebrated because managing diseases on moorland is an expensive business - the cost of treating, vaccinating, fencing and shepherding 1000 sheep in a tick-infested area costs tens of thousands of pounds per year. Grouse moors are open spaces which can support a number of Scottish wildlife species including mountain hare that benefit from grouse moor management. We believe management plans to limit tick abundance on moorland are a valuable part of supporting moors - provided an informed, planned and balanced approach is taken. We hope that our current research project with the James Hutton Institute and Scottish Natural Heritage to establish how to accurately count mountain hare (a tick host) will inform and help moor managers develop such balanced plans. Might I suggest that research into the factors that determine tick populations on the moors is a more scientific place to start than studies that simply identify impacts on a chosen few species of interest and produce "solutions" to their benefit? It may prove to be a more cost effective approach especially with a bit of cost-benefit analysis thrown in. I suspect that hares are not the cause but a victim but without wider ranging analysis, we cannot know. Unnaturally high numbers of grouse and intensity of sheep farming may well be factors. And are you really saying that driven grouse shooting and sheep farming benefits from no public subsidy? The approach you suggest to managing the tick problem seems neither informed, nor planned nor balanced.